World Cup 2013 Under-17 3rd place with Sweden. Erdal Rakip is one of the most talented midfielders in Scandinavia at the moment. He is also a big hope of Malmo FF – club very well known for its homegrown players, such as Martin Dahlin, Zlatan Ibrahimovic, Patrik Andersson or Robert Prytz. 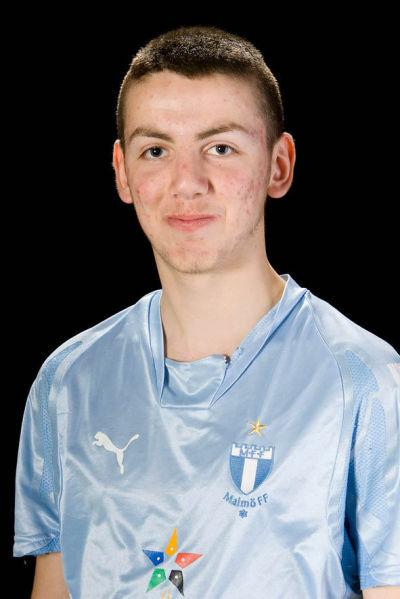 He made his Allsvenskan debut for “The Sky Blues” in an away fixture against IF Brommapojkarna at Grimsta IP on 1th June 2013 and just two weeks later he signed a two and a half year youth contract with that will keep him at club until the end of the 2015 season. Despite his Turkish roots he decided to represent Sweden national team. He entered his first international tournament at the 2013 FIFA U-17 World Cup in the United Arab Emirates where Sweden won a bronze medal – Erdal shone, scored one goal and was a central figure of “The Blue-Yellow” midfield.